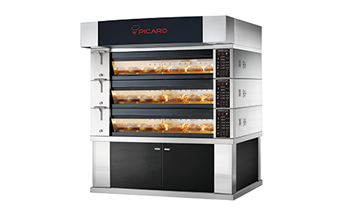 Picard Ovens was founded in 1957 and has a long history in the food business for over 50 years. Initially named Équipement de Boulangerie L.P. and then changed for Picard Équipement de Boulangerie (Picard Bakery Equipment), Picard was known and recognized as a distributor and service company of Bakery Equipment. Picard was founded by a visionary French Canadian named Lauréat Picard. It was Mr. Lauréat Picard's idea to start to manufacture bakery oven. After having hardly manage Picard Bakery Equipment for over thirty years, Lauréat transferred his business to his two sons, Gilles and Guy. Both brothers turned the business around and changed its name to Picard Ovens and invested considerable amount in research and development to come up with new products for the bakery and food service industry. After many years of R&D and hard work, Picard Ovens launch its first Stone Conveyor Oven for the Pizza business in the 1990s. 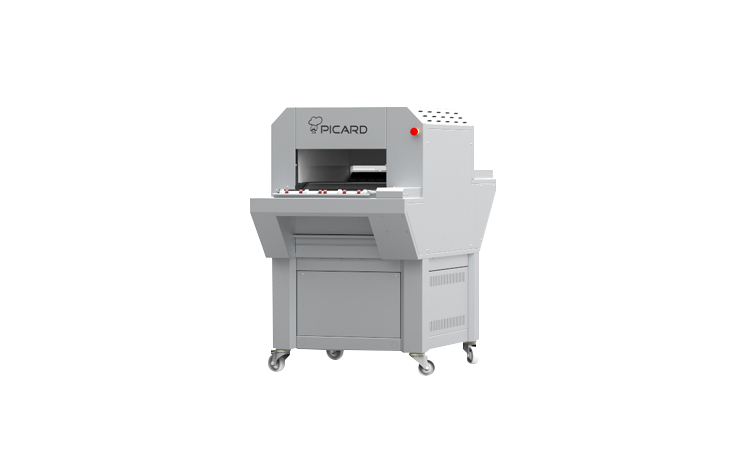 In 2015, Picard has launch its new Stone Conveyor Oven named the Hot Rocks that will revolutionize the Pizza market. The Hot Rocks helps Pizza business not only to increase their production and profits, but also to bake the best quality pizza on a conveyor oven. 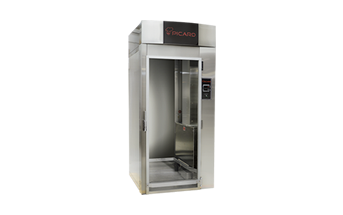 Today, Picard is also recognized for manufacturing the best Revolving oven (Revolution) in the world, well suitable for baking multiple products such as Breads, Pastries and Pizza. After many years of hard work, in 2014, the Picard brothers felt that it was time for them to transfer their business to allow Picard brand name and products to continue to evolve and grow in the food industry. Today, Picard is owned by a private holding company owning different manufacturing companies in the food industry. 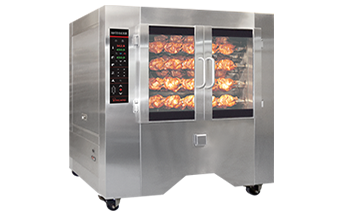 The Revolution oven is a continuous baking type oven with direct fired radiant heat and not a convection type oven. Many different products may be baked at the same time enabling you to increase your sales, baking everything your customers could ever want, when they want it. You can choose either gas or electric models. There are also 3 different shelf material option: steel, stone, perforated. The LP-200 is a baking stone conveyor oven specially designed to bake your pizza to perfection. 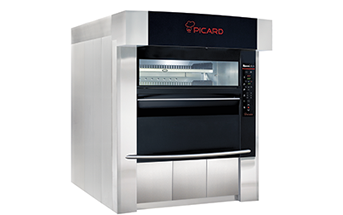 The Picard Ovens engineering team has developed an exceptional baking stone oven for direct baking and unparalleled results. The baking stones are always ready for your next pizza. Enjoy the exquisite taste and perfect texture of a pizza baked the old fashioned way —on a baking stone. A forced-air ventilation system ensures continual air circulation for even and effective baking. A forced-air ventilation system ensures continual air circulation for even and effective baking. The adjustable-temperature heated air is quickly pushed down to the product surface through small funnel-shaped cavities, eliminating the cool area in the middle of the pizza. The rotation is calculated so that the juice drips from one skewer to the next skewer directly below it. This method of dripping from one skewer to the next prevents shrinkage and at the same time enhances the taste and color of meat. We use a modulating burner to maintain consistent heat. The flame ne ver goes out, it is increased or decreased depending on user demands. Direct heat is kept at a proper distance in order to prevent toughening of meat. The Modulux is an efficent electric deck oven. Can be ordered in 1-4 decks. Each deck is independant giving you freedom to bake different products. Our intelligent electronic temperature controller assures perfect baking all the time. You can control the top and bottom temperature of each deck. WHY SHOULD YOU USE THE PROOFER ? THE PICARD ROLL-IN-RACK PROOFER IS AN ADDED VALUE TO YOUR BAKERY ! Picard Proofers will save you time and money. They will help you create quality products in faster time. The Proofers have glass door design so you can monitor your proofing process. All the Proofers allow you to control both temperature and humidity. 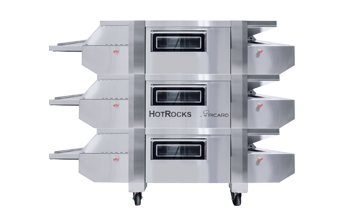 The all-new Hot Rocks is a baking stone conveyor oven specially designed to bake your pizza to perfection. The Picard Ovens engineering team has developed an exceptional baking stone oven for direct baking and unparalleled results. The baking stones are always ready for your next pizza. WHY SHOULD YOU USE THE PITA OVEN ? 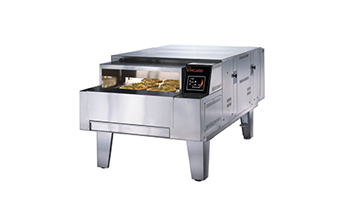 Electric conveyor oven that cooks up to 1000 °F. The conveyor is made of solid steel plates which the product goes directly on. 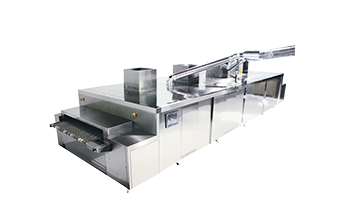 The baking chamber utilizes infrared top elements as well as interior brick walls that create radiant heat to cook product very fast. The Pita Oven is an electric oven so there is no requirement for a hood to be in place. The oven just needs to have the electrical power hook up and it is ready to use.